Get more information about the services provided by KCI in your area. Get more information about the services provided by Firestop in your area. View multiple job openings, benefits and apply right away! 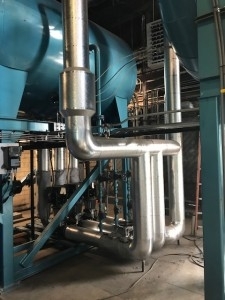 Formerly known as Kirby-Vass Insulation, Inc.
Kirby-Cundiff Insulation specializes in the insulation of pipes, ductwork, and equipment for industrial and commercial needs. 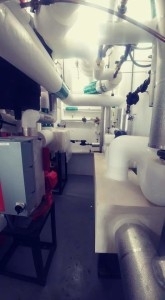 Presently, Kirby-Cundiff Insulation serves southwest, central, and northern Virginia, as well as parts of West Virginia, Tennessee, and North Carolina. We are constantly growing and serving a larger area. This is due to our commitment to efficient and timely service combined with our high quality and competitive pricing. We also provide services in the fire stop industry. In 2001, Kirby-Cundiff Insulation started Firestop of Virginia. Firestop of Virginia has continued to grow and now is one of the top fire stop companies on the East Coast. More details of both companies can be found on their appropriate pages. To keep updated on what is going on with Kirby-Cundiff and Firestop of Virginia, please look at our Safety and Community Tab. It will fill you in on what is going on around the workplace with our employees and our community. Recently completed mechanical room work done @ RU McConnell Library. 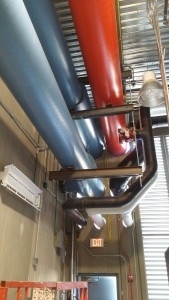 Recent work going on at East Tennessee State University’s Boiler Plant. The project includes Insulation with an Aluminum Jacket & KCI Fabricated Pads. 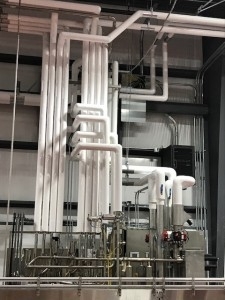 Insulation with PVC Jacketing for the New Devil’s Backbone Brewery Facility in Lexington, VA.
Work is being done at Mission Hospital’s Central Energy Plant in Asheville, NC.